Welcome to this episode of the Real Fast Results podcast! Today you are in for a real treat. The special guest is Kathryn Guylay. She comes to the publishing industry with a background in management and consulting as well as non-profit management. As a numbers person, she actually received her MBA in Austin, Texas, at UT. One of the coolest things about Kathryn is the fact that after graduating, she went on to work for dozens of multinational corporations across many diverse industries. She stumbled into publishing many years later, after writing her first book. It is titled Mountain Mantras: Wellness and Life Lessons from the Slopes. Since then, she has written two children’s books, and her latest non-fiction book was released just a couple of weeks ago. It is Look before You Leap: The Smart Author’s Guide to Avoiding the Money Pit and Achieving Financial Success in Publishing. I’m so excited to be here today! Okay everybody here’s a big hook. 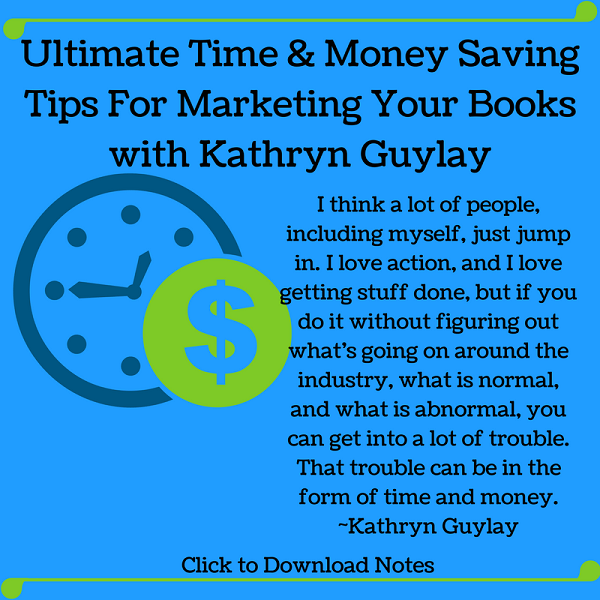 If you want to write a book, if you are an aspiring author, or maybe you have a book, but things haven’t worked out so well, I am going to give you some amazingly awesome tips that will save you tons of time and tons of money. After listening to Jack’s interview at RealFastResults.com/21, you should download my survey, which you can access at MakeWellnessFun.com/authorsurvey. Then, I’ve got a great website called MakePublishingFun.com. There’s a podcast there for aspiring authors, and there’s a summit. In that summit, we talk about preparing for your journey. So, it’s got some great tips. It also goes all the way through the publishing journey, talking also about that backend side. Again, it doesn’t end with the book. I’ve also got a new course out that kind of goes through this OODA loop thing. If you are just getting started and want to get on a fast-paced course, like one-on-one, but really get up to speed on how the publishing industry works, you can also access that at MakePublishingFun.com. I hope that you’ll come check it out!